Since 1992, we have established partnerships with the best and most innovative, market leading brands to service the Australian and New Zealand retail sector. And still today, we believe we have the best portfolio of brands and products for the mobile lifestyle products market. In addition to this we have over 25 years’ experience in product design, brand development and manufacturing to bring to market our proprietary brands,to further enhance and complement our complete product portfolio. We listen to the market and work hard to ensure we deliver market relevant and desirable products, that enhance our customer’s lifestyles. EFM believes that life is an adventure that can change course and take you to places you never thought you would go. Cleanskin is a brand keeping it simple. Our no-fuss range is manufactured to high quality standards whilst maintaining great value for money. Founded in 1998 OtterBox was built on a dream and created out of a garage. With its commitment to hard work, innovative risk taking and listening to their consumers they can now attribute these actions to their success. 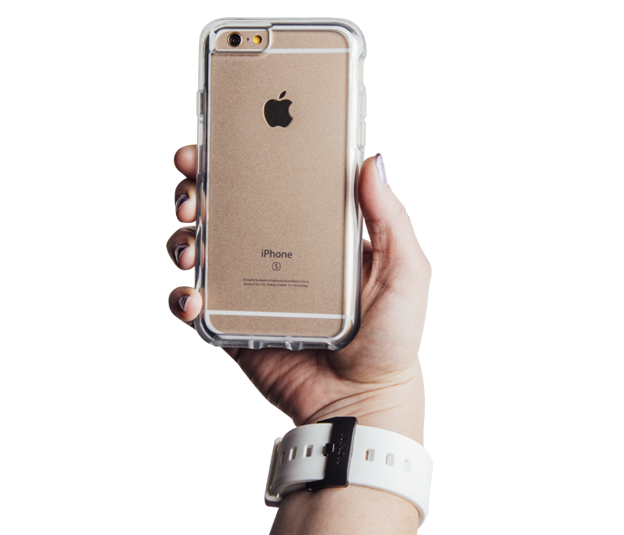 The name 'LifeProof' was inspired by the ability to keep your smartphone and other devices protected and fully functional in water while swimming, surfing, in mud, sand, dust, snow or ice. Creatively designed for the well-styled individual. Case-Mate began in 2006 and have since become an industry leader in stylish smartphone cases. PopSockets exists to change the world for the better with innovative, magical, products, tools, and community-empowered activism. Samsung's range of genuine mobile and tablet accessories offer premium quality construction and materials paired with market leading tech innovations. House of Marley is built on the principles of superior quality, sustainability and a commitment to charitable causes. Driven to enhance lives through great product experiences as well as using proceeds from product sales to support global reforestry through their foundation, Project Marley. JAM has been totally wireless since they first pressed play in 2012, and they continue to keep it fresh with the latest tech and boldest looks for speakers, headphones and earbuds. Music is the soundtrack of life, that belief inspired both their name and the world of music, sound, design and community. Nuheara's mission is to improve people’s lives by allowing them to seamlessly listen, communicate, and connect to their physical and digital world. Force has long standing partnerships with some of the worlds most renowned and respected mobile lifestyle brands. We seek out supply partnerships based on their ability to provide innovative products, forwarding thinking product development, and a culturally aligned approach to execution and customer service.